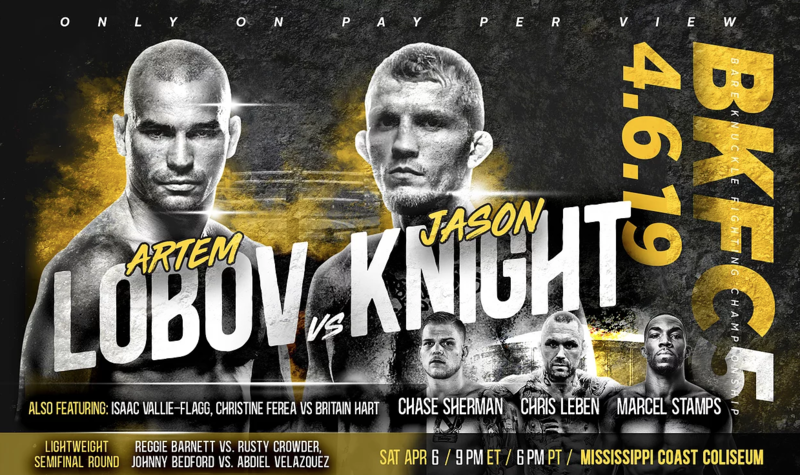 PHILADELPHIA (April 3, 2019) – Bare Knuckle Fighting Championship (BKFC) announced on Wednesday the commentating team that will deliver blow-by-blow, analysis and color commentary for Saturday’s “BKFC 5: Lobov vs. Knight” pay-per-view event from the Mississippi Coast Coliseum in Biloxi, Mississippi. The host and ringside reporting duties will be handled by Ron Kruck. Analysis will be provided by former three-time boxing world champion Antonio Tarver and former UFC standout Chris Lytle, as they bring fans insight from their experiences as the best in combat sports. Veteran broadcaster Sean Wheelock will provide the blow-by-blow coverage and the crew will be joined by recent BKFC signee Paulie Malignaggi as a special guest. The event will be broadcast across the United States and Canada, exclusively on pay-per-view through MultiVision Media, Inc., on all major television distribution outlets for $29.95. It will also be available worldwide via stream to all in-home and out-of-home connected devices at FITE-TV and www.bareknuckle.tv. The event is headlined by former UFC standout and Conor McGregor stablemate Artem Lobov making his BKFC debut when he takes on Mississippi native and former UFC fighter Jason Knight. Also featured are fights with former UFC veteran Chris Leben battling former Bellator standout Justin Baesman in a light heavyweight fight, as well as former UFC fighter and D’Iberville, Mississippi native Chase Sherman taking on BKFC fan-favorite and former BKFC heavyweight title challenger Sam Shewmaker in a heavyweight attraction.